Brian Shorten, Regional Sales Manager. Photo courtesy of Flying Dog Brewery. 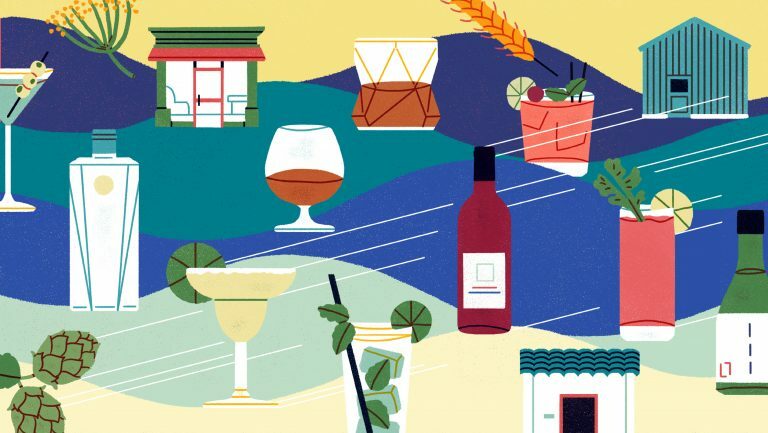 The American beer industry is far enough along its modern path that some things have become new mainstays: Drinkers love hops, have a greater preference for visiting breweries, and—from time to time—don’t mind standing in line to buy something special. Black Friday—long lines are not strange for taprooms, which have seen committed beer drinkers showing up hours early to sit or stand in snaking queues for the latest and greatest in funky or hoppy concoctions. Some breweries have built businesses on such a model, with hundreds of enthusiasts showing up regularly, from Massachusetts’ Trillium Brewing Company to California’s Monkish Brewing Co. Perhaps it was inevitable, then, that some of the bigger breweries in the country would start down this route, too. 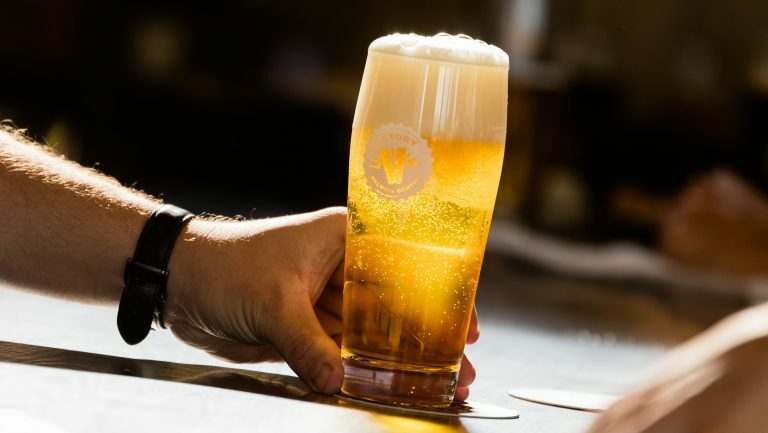 Like many other brewpubs, Victory offers one-off and specialty beers in its taprooms, but in February it took the process a step further with its Tank to Table series, in which IPAs and other hop-focused beers are released roughly every other month. The first release featured 50 cases of a double IPA, made exclusively with Cashmere hops, sold in person at three Victory retail locations. With no trouble selling out on a wintry Saturday, Victory doubled the number of cases to 100 for April’s release, a single-hop IPA made with Idaho 7 hops. 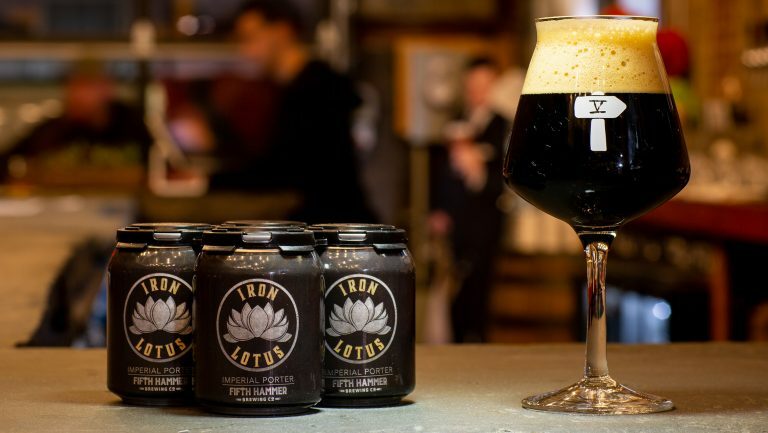 On both occasions, Gentile said customers started showing up between 8 and 9 am to wait for the beers, which didn’t go on sale until 11 am and sold for $4 per 16-ounce can, $16 per four-pack. The first release sold out within hours. The second, doubled in size, lasted a full day. Victory’s Tank to Table series checks the desired boxes: an in-person experience buying a popular package size of a style of beer canned and sold within three or four days of finishing fermentation—the perfect timeline to get fresh, hoppy flavor. Another step adds an additional layer—Victory creates surveys for each release, allowing customers to provide direct feedback rather than entering ratings and 140-character opinions on apps and social media. 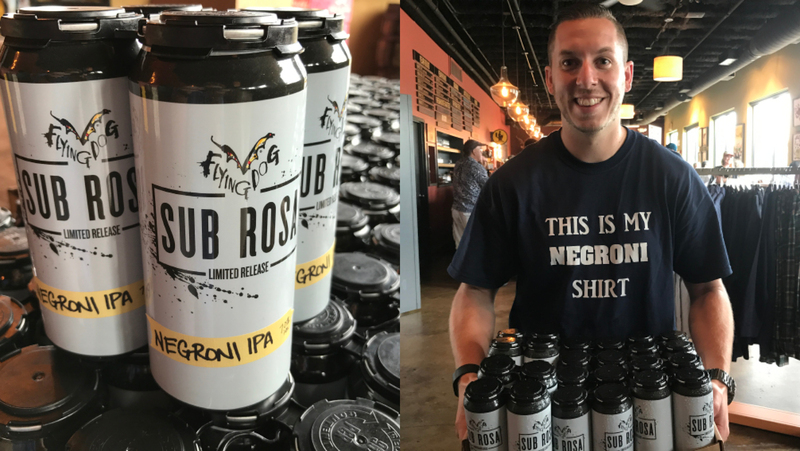 This year, Maryland’s Flying Dog Brewery also changed the focus of a longtime brewery-only release schedule with its decision to package its Sub Rosa collection of beers in 16-ounce cans for seven scheduled releases over the course of 2017. While the collection of beers includes such eclectic IPAs as a Negroni IPA and a Mustard IPA, Flying Dog will also be releasing Apricot Sour and Smoked Sour Wheat. The brewery kicked off the yearlong project with Dark and Stormy Ale, a beer inspired by the cocktail of the same name. 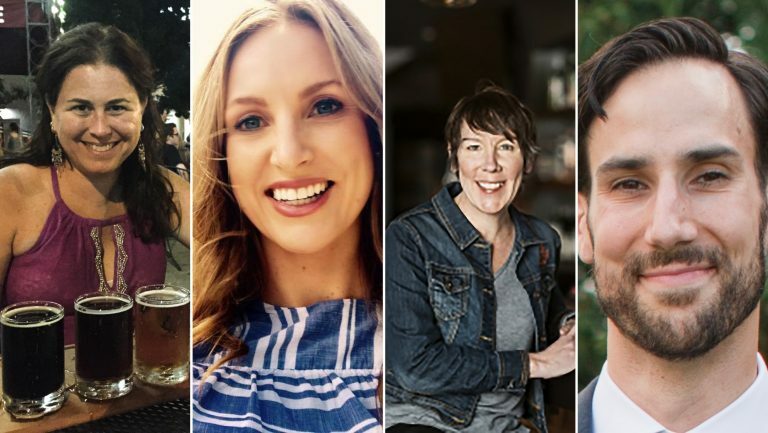 Sub Rosa releases started two years ago as draft-only options, but Flying Dog has switched things up as a way to capitalize on direct-sales trends in the same way that Victory saw an opportunity. 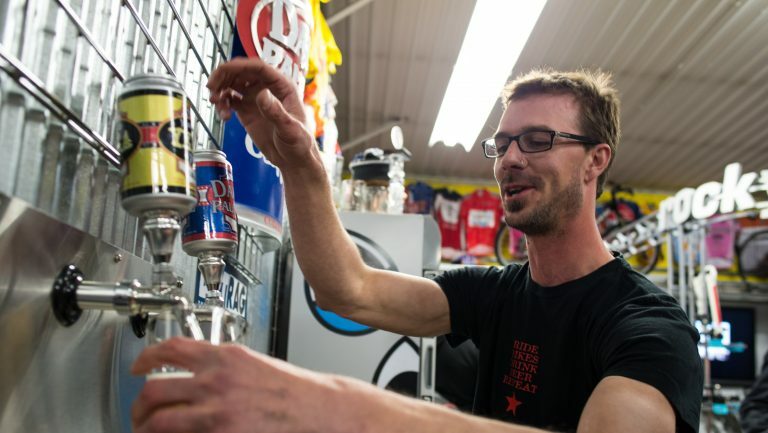 Sales of other easily portable packages—glass growlers or 32-ounce aluminum crowlers—have been the norm for Flying Dog for years. But the ability to sell limited four-packs of 16-ounce cans ($12 each pack) in-house makes for another way to connect with fans and allows brewers to play, to create small batches of unique beers that not only push brewers’ skills but draw crowds interested in the brewery’s experiments. The Dark and Stormy Ale release, for example, allowed staff to use black currant juice; the Negroni IPA release included beets. The upcoming Mustard IPA will incorporate ground brown and yellow mustard seeds. These bigger breweries are in a fortunate position: They can use their research and development sides as a way to keep pace with the smaller, nimbler breweries to which drinkers are becoming more accustomed.